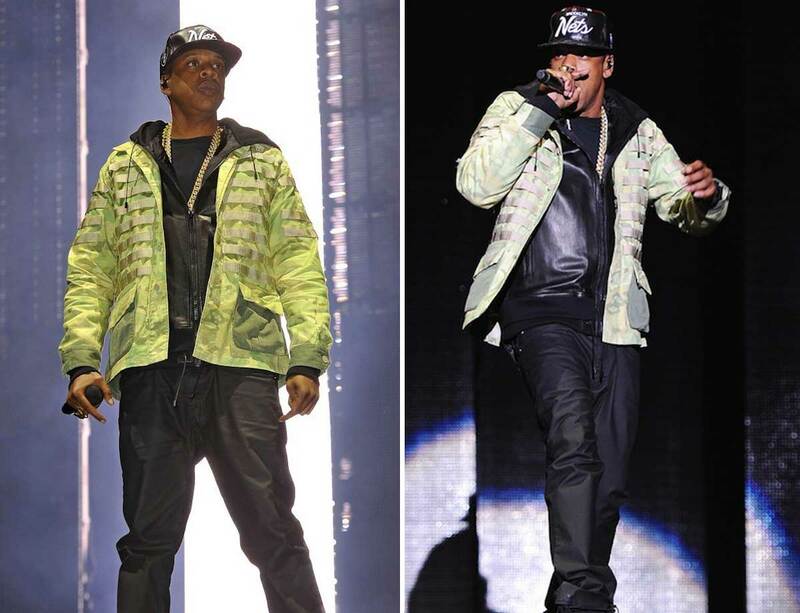 I’m a bit disappointed that Jay-z didn’t have a dump pouch on there filled with diamonds, and ground up unicorn horns. I’m not a fan of the jacket. It almost looks like something a fireman would wear. I’ll take that $2000 Givenchy leather hoodie he’s wearing underneath it though. Did I fail and call this PALS when it’s actually MOLLE? I think I got it figured out now… PALS is the strips of webbing, and MOLLE is the whole system. I do like military inspired clothing, as long as it’s tasteful. I basically grew up with the guy who runs upscale hype. I saw the first picture and thought man that looks like an upscale hype type post. Usually when I say I had an argument with on of my friends that’s who I am talking about. lol. Oh the irony. That’s awesome! Allen’s personal style, and blog are definitely among my favorites. He should shoot IDPA, he already has the gay cover garment. hahah I burst out laughing when I read that. Ehhhh… I’ll stick to Gorka and FORT suits. They blend in with civilian clothing fairly good, unlike this one trying desperately to stand out. I much prefer the looks of the Triple Aught Design Ranger Hoodie. You all Do realize that this is not “real” gear, it’s stupid crap made for people who have too much money. Just look a the rest of the site. 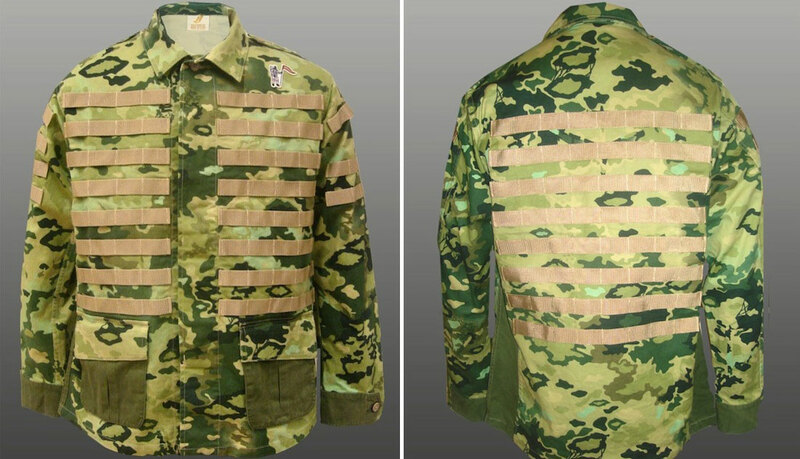 That said, the camo pattern is pretty neat, sort of a multicam-flavored SS-oak leaf design. i think the purpose of this is so you can tuck baggies under each strap. Maybe weed on the left, e on the right or something. There seems about 150 spaces so just get the fastest of your crew to wear this and count the cash. Turnover always goes up if customers can window shop. In general, once you have a straight line of material in a cammo pattern it ain’t cammo no more. Good point. Plus, when you hang gear on that it is going to become really uncomfortable, and basically hang off your neck. Endo, why do you know the brand names of the company who makes this jacket and the $2,000 hoodie? If this jacket was actually built tough, the price wouldnt be that out of line when you consider how much a plate carrier costs. But i’m guessing its not since Wikipedia says after its partnership with Jay-Z, it clothing is now manufactured in places like China and Korea. I am interested in clothing every bit as much as guns! It must’ve been cold in that venue.